The Next Step In The Evolution Of The Razor? Is this the next evolutionary step for the razor? Has this razor “EVOLVED” through a process of natural selection? 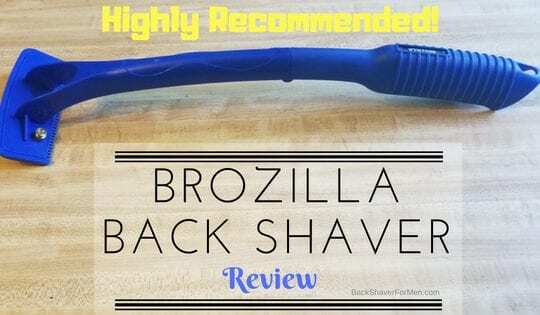 Let’s take a look and see what this multi-purpose razor called the Evolve Body Razor has to offer. This black and blue razor will evolve your beast back into a smooth pre-teen back. But it will also…handle body, facial hair,and legs. Yes, legs! For the ladies too. This is also uniquely a unisex razor, for both sexes. 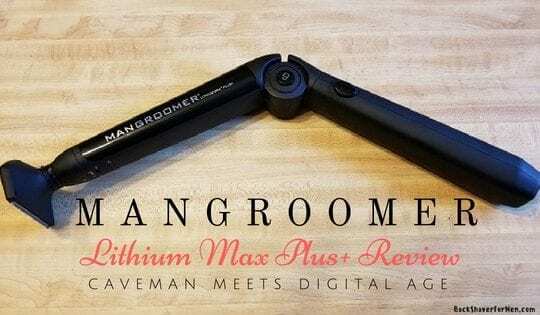 With reviews from both ladies & men posted on online, as most reviews seem like they are quite happy about the performance of this razor, and this gets me excited to test this razor in my Evolve Body Razor review. With a longer reach, better able to reach the what was once unreachable. A multi-purpose razor to tackle any hairy job. 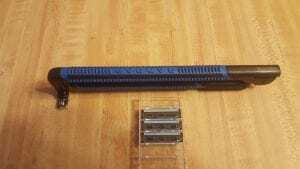 How will Evolve handle the back shaving? What Comes When You Order The Evolve Body Razor? 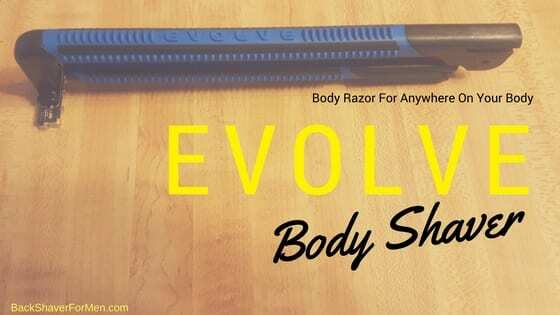 How Does Evolve Body Razor Perform? It comes down to the nuts and bolts now, how well does the Evolve Back Shaver work? Allow me to share my experience with you. To start off, I shaved my back dry, as I was told I would get better results with a dry back. So I listened, I am all for doing it the easiest way. It took me roughly a half an hour to shave my back, this was to be expected with a standard size cartridge blade. (1 9/16″) I might have let my back hair grow a little too long, as it was at the most 1/4″ of an inch long. If this was my only method of shaving my back, I wouldn’t let it grow this long, before shaving it. The shorter the length of the Evolve the better, as this type of cartridge razor blade is prone to clogging with long hair. The Evolve handled the longer hair better than I thought it would, but I also had to clean it often. When I was able to maintain the constant correct angle for the blade, it shaved well. I found that I often lost the point of reference and had to make frequent adjustments. 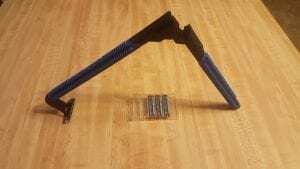 What I mean by this is, you think you have the correct angle for the blade but a mirror check says you’re not even close. As the angle of your arm and wrist is not holding the blade properly against the skin. You have to work for it, as the system is not the most intuitive. I know with time, I would probably become more skilled with it. The long handle was nice in some circumstances but also interfered as it is straight. This also affected the shave angle in certain positions. The most modern of back shavers, nowadays are curved to allow shaving the odd angles of the back. 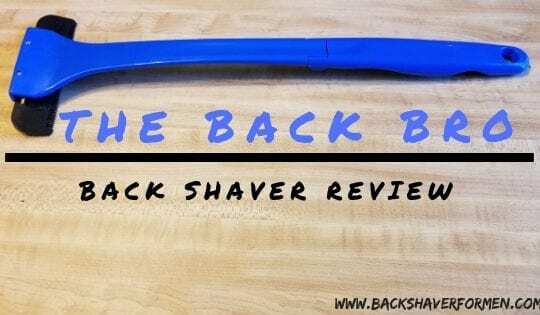 The straighter the handle the more flexible you need to be, at least for shaving the back. Gave a good close shave when I was done. This is one of the times when I asked my wife to use this shaver and help me test it. To try it on her legs, as I normally NEVER shave my legs. I’m too manly for that. Just kidding. I wanted her female opinion about the Evolve since it is advertised as a body shaver and I wanted to test more than just shaving the back. She was surprisingly eager to help out. She really liked shaving her legs with it. She enjoyed the extended reach and not having to bend over as much, as well as not having to bend her leg as often. She had no problem of the point of reference like I did with shaving my back. She said that she liked the option of hand placement on the handle, either choked up or all the way at the bottom of the handle. Gave her legs a nice smooth finish. She was happy with it. Happy wife equals happy husband. Where I think Evolve Body Razor really shines is for anyone with an injury or lacking mobility due to age, size, surgery or even pregnancy. As standard shavers don’t allow for the extra reach you get with the Evolve. 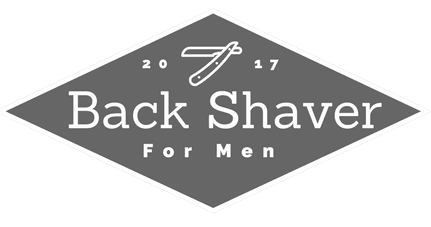 Most back shavers are too wide to shave the leg effectively. 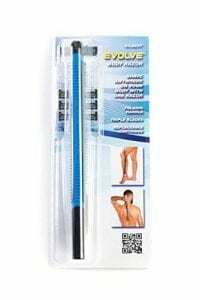 So, if you are unable to reach your legs due to whatever circumstance, you should definitely reach for the Evolve Body Shaver. The chore of shaving your legs would be made much easier for a lot of people with challenged mobility. I wouldn’t hesitate to recommend this to anyone with limiting movement looking to shave their legs, probably the best device for this purpose alone. Just as the name states, “Body Razor” this thing can tackle the back, the beard, the legs, heck anywhere on the body. This is a definite advantage to the Evolve. It’s like having a professional baseball player that can play each position well. Just pull out the old trusty Evolve to handle most tasks. Where the Evolve Body Razor hits a grand slam is the use for people that are injured or unable to move freely. Allowing the once hard chore of shaving their legs from arthritis or other debilitating injuries to now more effortlessly shave their bodies, especially the legs. Adaptability – The strength of the Evolve is its adaptability: back, face, legs, or body. It is also adaptable for a man or a woman to use. Folding Handle, for out of the way storage and also folds up and fits nicely into a toiletry bag too. Would be easy to travel with. Three blades for a good cutting ability in the first pass. I think one of the biggest benefits of shaving with the Evolve is the ability to shave the legs. 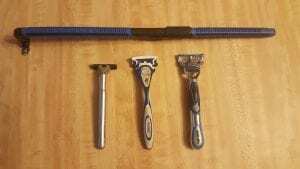 Due to its long handle, yet it still retains the normal width of the standard razor. You can effortlessly shave your leg without needing to bend the leg or bend over as much. Unisex razor blade. You might be fighting over who can use this body razor, as this can be used for both men and women. Locking folding handle securely locks into fully extend mode. Simple but highly effective. The ribbed rubber grip is throughout the handle allowing you to easily grip fully extended or to choke up on the Evolve for better control. I like the ribbed Non-slip rubber grip, comfortable in the hand as well as being steady. Provides a firm grip. Blades are made in the U.S.A. Props! Quality U.S steel! Had very few nicks or cuts from shaving. Replacement razors are a darn good price. Left my back smooooottttthhhhhhh. Loved the closeness of the shave! There is a couple of advantages of having a regular size shaving blade. You have better control and are able to steer away from moles and such. As many people have moles on their back. Easy to hang just about anywhere as the weight distribution is pretty equal when folded. Can be stored over a towel rack, top of a shower, over a shower caddy, or the shower faucet. Short blade width. 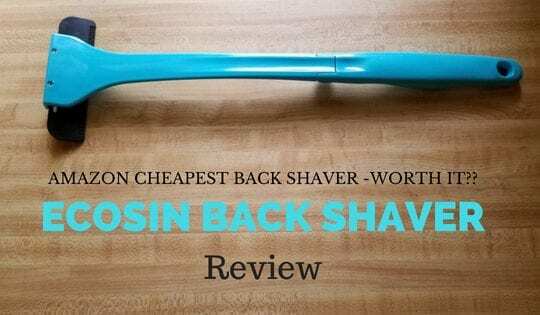 When shaving your back with the standard width of the razor, as you are with the Evolve Body Razor, is limiting to the amount you can shave with each pass. Increasing the amount of shave time required. I have used a lot wider razor and they work phenomenally, especially for such a large surface area such as the back. Clogs with longer hair requires constant cleaning, which is normal for this type of cartridge razor. Point of reference of the razor blades was often lost when shaving my back. Not the most intuitive razor, as you had to make adjustments on the fly often. Straight handle. This is sometimes limiting, as it interferes with getting the correct angle on the blades. Size comparison to standard beard razors. For the best possible shave, I recommend taking a shower prior to shaving your back and always try to use a fresh sharp blade whenever possible. I also found that dry shaving is paramount with the Evolve. If hair is wet it clings to the skin after it cuts. When shaving dry, it just falls away. This allows the attack of the razor in the next pass, the ability not to have to deal with excessive hair and thus shave better. It’s also best to shave the area before the hair growth gets too long, as with any standard conventional shaving tends to clog pretty fast with long hair. Best to shave when it short, when using the Evolve. Shaving cream isn’t required when shaving your back. Keep the directions around to refer back to them when changing the cartridges for the first time. As it might be a little different than what you’re used to. To properly unclog the razor of hair, you should gently tap the end of the handle (not the cartridge) on the edge of the sink a few times then rinse with water. Repeat as necessary. Take short deliberate strokes seem to work best for me. The Evolve Back Shaver performed decent, it took time and some care to do a complete back shave properly though. This left my back pleasantly smooth at the end and a general feeling of satisfaction. The Evolve Body Shaver will get the job done in the end. The adaptability of this razor leaves it a little short-sighted in some applications of shaving. As my website deals with shaving the back, for the most part, and I have to grade on this fact for the most part. I also love that the replacement blades are cheap. See below for current price. Plus the steel is made in the U.S.A. not the cheap metal from China. Is it the best method I have used to shave my back? No. Is it the worst? No. There is room for improvement on the design for a back shaver, but for a leg shaver, I think it knocks it out of the park. It’s designed for the most part, I feel is the most practical for shaving the legs, while not excluding any of the other areas. The shorter blade width and the straight handle all benefit the shaving of the legs over shaving the back. I would for sure recommend this to anyone looking for a multipurpose razor, like someone that shaves the whole body. (back, legs, face, chest) It will shave a back nicely, just not as efficient as others on the market. Does clog with long hair. Handle is straight and impedes proper shave angle sometimes. If you have any experience using the Evolve, I would love to hear them. Also any comments. Thanks!